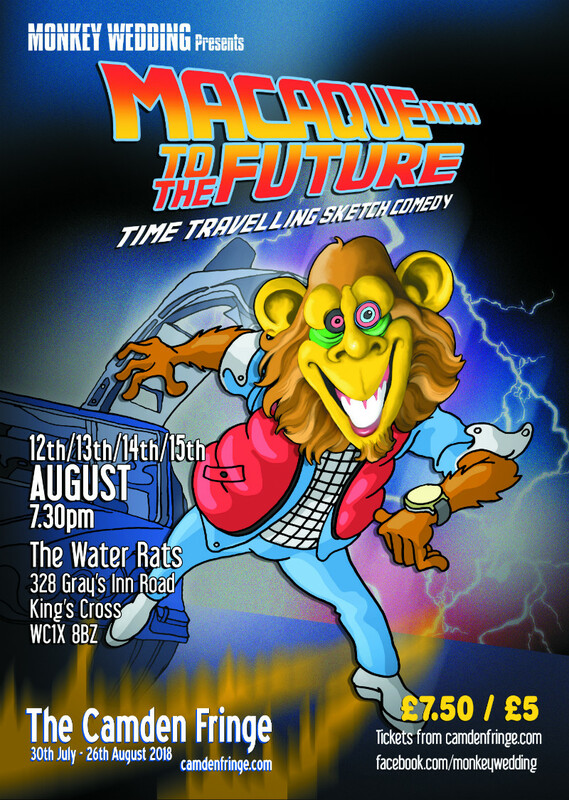 ‘When this baby hits 88 gags per hour, you’re gonna see some serious sketch comedy!’ Monkey Wedding hop in a time machine for their fourth Camden Fringe to bring you laughs from the past, present and future. With Yasser Kayani, Karen Morden, Mike Sheldon, Jo Tilley and Bruce Williams (3rd place, NATYS 2018). Or their time-travelling robot doubles. We’re performing for 4 nights between Sunday the 12th and Wednesday the 15th of August at The Water Rats near King’s Cross. We might carelessly destroy time, so this could be your last chance to do anything!